A pod of sperm whales adopted a bottlenose dolphin born with a deformed, s-shaped spine. The dolphin’s pod presumably rejected him due to his deformity. Female beluga whales have been known to turn objects into surrogate babies and treating them like calves. Find Out other amazing facts about whales! 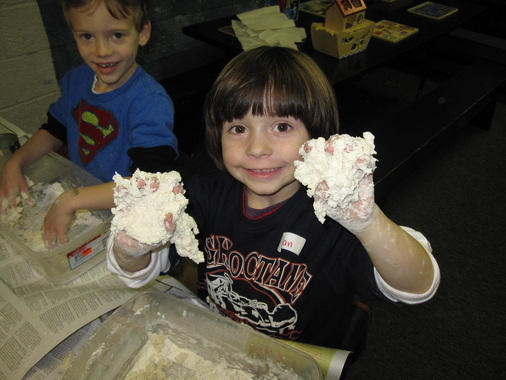 Kids caught having fun recently at The Whaling Museum! Fun indoor activities to learn about our amazing oceans. Keep YOUR ocean clean. Try out these fun "green" crafts made out of recycled materials! ...Create an animal out of a smashed soda can. Instructions Here. ...Create Juice Box Buddies. Instructions Here. ...Create a Penguin out of a Plastic Soda Bottle! ...Travelling? Make a Bubble Wrap Backseat Game. Instructions Here. would you like to do at the Museum?